At the tender age of 23, Ali Pritchard launched what many theatre aficionados recognise as one of Newcastle’s most important creative institutions. As a hidden bonus, he would also become one of the UK’s youngest Theatre Founders (and Artistic Directors) in the process. Luckily, this humble, singular room that could seat just 35 punters was only the beginning, as he goes on to explain. Of course, this space had seen quite a few rather dramatic transitions over recent years: before Ali and his team got their hands on it, the premises had been home to a printing workshop, an independent film set, and even a short-lived (slightly illegal) night club. 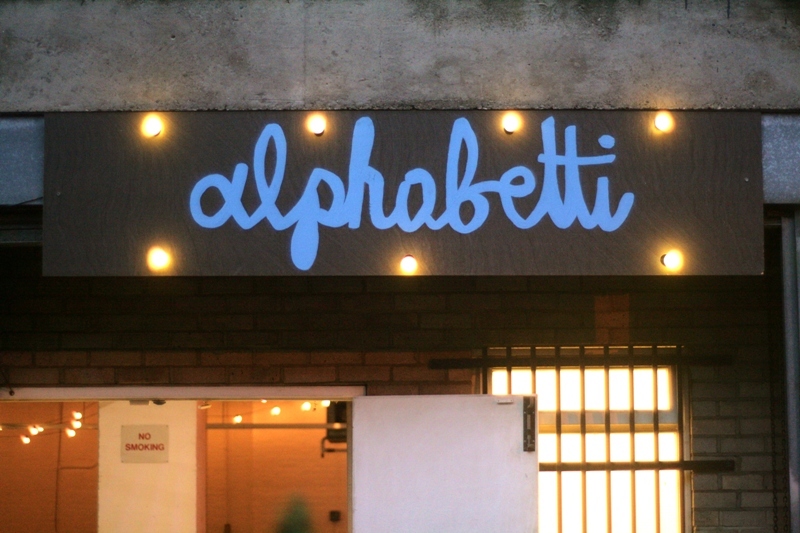 After the new and improved Alphabetti was finally unveiled, it played host to a number of memorable performances – morphing into the small, independent theatre that many of us across the region now know and love. “For me, many of the personal highlights were our own shows – productions such as The Frights by Louise Taylor and The Rooms. There were also some some cracking co-productions: we helped out local folk band Holy Moly & The Crackers, who aimed to revive their folk musical – If The River Was Whisky (where every member of the audience over the age of 18 got a free shot of whisky, no less) and launched another co-production with Gary Emily IngramKitching & Co called Bacon Knees & Sausage Fingers. Before long, NewBridge became a well-known hub for each and every art form, from visual arts to literature and theatre. Unfortunately, Ali and the folks at Newbridge Project were aware that this was to be a temporary arrangement. Both Alphabetti and the Newbridge Project have now been forced to move on to pastures new. Luckily, both groups have found new homes and are able to continue their creative work within the city – with bigger rooms, a more centralised location and plenty of resources, these new spaces have much more promise than their predecessors could offer. With this new-found sense of stability, Ali can now focus on the complete fulfilment of Alphabetti’s original mission statement. Alphabetti Theatre will formally re-open on Friday 1st September, but if you wish to view the new premises beforehand, be sure to visit their fundraiser on Friday 4th August – featuring performances from Dansi and Holy Moly & the Crackers.